Note: A minimum quantity of 162 must be ordered, and in units of 18 thereafter. 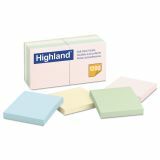 Highland Self-Stick Notes, 3 x 3, Assorted Pastel, 100-Sheet, 12/Pack - Self-stick notes are repositionable and removable. 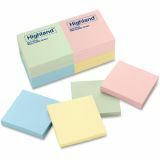 Great for reminders and lists. 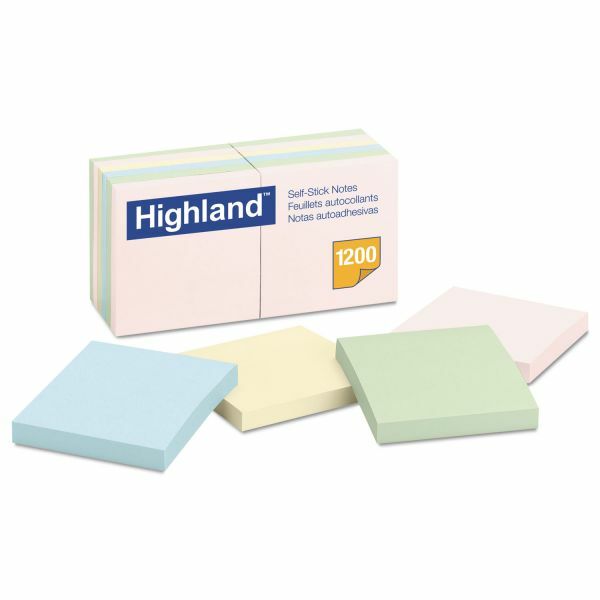 Each pad includes 100 sheets.